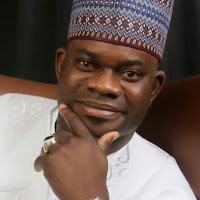 The crisis over the governorship election in Kogi State deepened on Saturday as the All Progressives Congress (APC) in the Eastern senatorial district of the state rejected Alhaji Yahaya Bello as the governor-elect. The stakeholders of the party in the district have also resolved to stand on Audu/Faleke ticket. This was the resolution of the stakeholders meeting of the party held in Anyigba, Dekina Local Government Area of the state. The Zonal Chairman of the APC, Comrade Daniel Isah, while addressing the meeting, stated that the people of the Igala nation had resolved to pursue the issue to a logical conclusion. He said the people were resolute on the issue because the former governorship candidate of the party, the late Prince Abubakar Audu, had already won election on November 21, the result of supplementary election notwithstanding. The chairman noted that over 6,000 votes scored during supplementary election were not enough to deny Audu/Faleke ticket the mandate freely given to them before the election was declared inconclusive. He stated that all the stakeholders and party loyalists from the nine local government areas in Igala kingdom had resolved to stand on Audu/Faleke. Isah added that the people of the Eastern senatorial district were not ready to trade their votes, noting that the Igala people contributed enormously to the votes given to Audu/Feleke. He lamented that instead of reasoning along with members of the party in the state, the APC hierarchy did not allow law to take it course, but preferred to impose another person entirely.